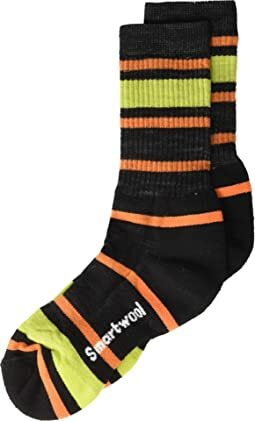 I got these for my 8 year old son for a snowboarding and skiing trip because I couldn’t find any of the longer ones last minute. They were too short to work for that but he loves to just wear them. They do run small. He is shoe size 3 and I got the large which fit him exactly, probably wouldn’t fit much bigger. 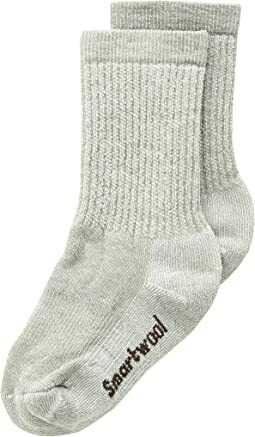 He is kind of picky about stuff he will wear so I was happy he found these smart wool socks comfortable! This hat is great! It's light weight, not bulky, but very warm. It fits my 4 year old great, he has a large round head. But it's very stretchy so I see it fitting a few more winters. 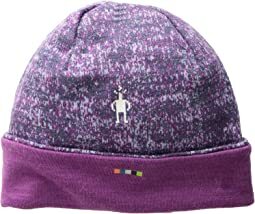 Because of the price I am nervous to lose it which is possible for his age group, but if money is not an issue this is a great hat. I thought Youth large would fit my 11 year old, but they are much smaller than I expected. more for like a 1st grader, not a 5th grader. My son is 9 and the L/XL fit perfect. The material is soft and not bulky like other winter hats. The hat also dries very quickly after getting wet. Large Fit my 10 year old perfectly. 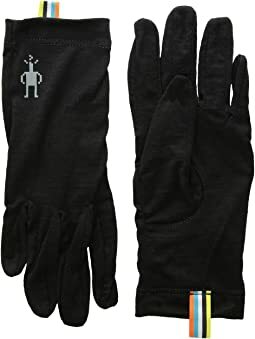 These gloves worked great as liners! Highly recommend for a cold day. Could be work alone as well. Warm, comfortable. Perfect for us! Feels soft, looks nice. Perhaps a little thin, but should keep him warm. It's for my 3 yr old son, and fits well. 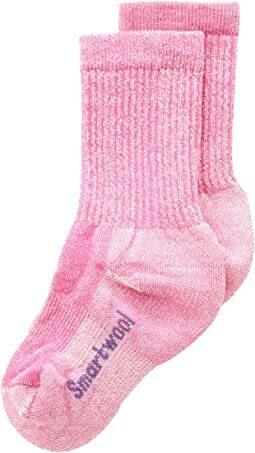 I’m a huge fan of smart wool socks so I decided to try them for my small kids. I did size up for both my kids after reading the reviews. The socks do appear to run a little small. The turquoise is really cute, although the navy is a very dark navy- almost black. Worked for my purposes! 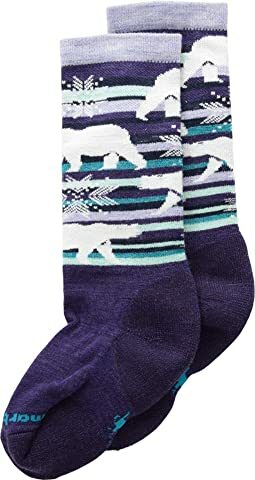 I bought these for my 5 year old granddaughter - she wears a size 12 and they fit her perfectly. 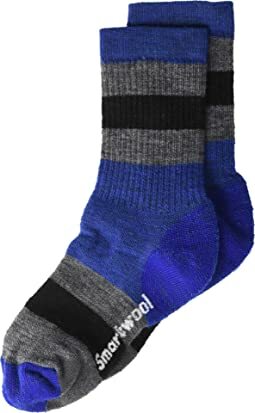 Try to find a pair of real wool socks for a kid in the stores - Impossible! Thank you for having them Zappos! She loved the bright colors (pink & purple) and the first thing she said when I put them on her was "Oh, so comfy!" 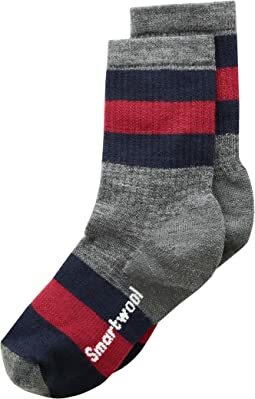 they are nice and soft and great quality. Love them! Waaaay too small. 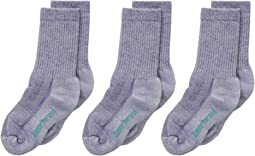 A kid with size 2Y feet is about 8” from toe to heel, and these socks can’t stretch that far. They’re maybe 5 or 6” toe to heel. Back they go. 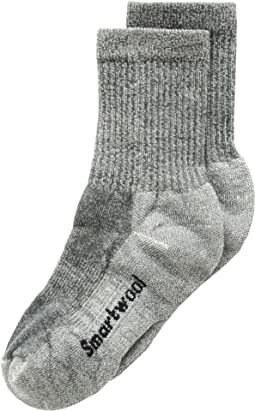 We love smartwool socks! 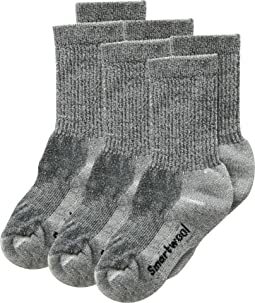 The whole family wears them once cold weather hits. The kid sizes always fit my children a little small so we size up for longevity. Zero complaints and they’re always in good enough condition to hand down once outgrown! Fit great. Thick (but not ski sock thick) needed them for some looser fitting boots on a 3yr old. They stay on great. Comfy. Really disappointed. These run SO SMALL.... my girl is a size 7 and the smalls are way too small. 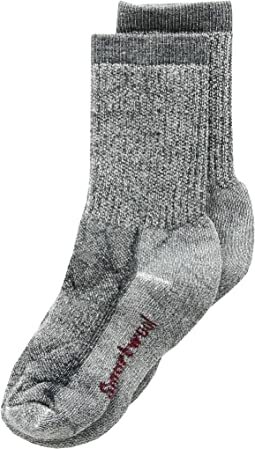 They are stiff and do not form to the foot and do not have grippers.... The heel area is about half way up her foot.... and the toe box is super wide. Such a waste of money. OK, this is not Zappo's fault. I tried to reorder Smartwool's wonderful, warm kids' socks from last year, and this year's version is thin, shorter and certainly not what I would call a hiking sock. Very disappointing - am returning. 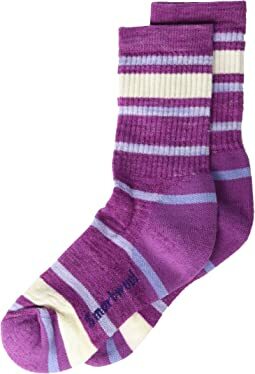 My 4 yo daughter loves these - we have the green stripe and purple stripe. We've definitely found them to run a size small. 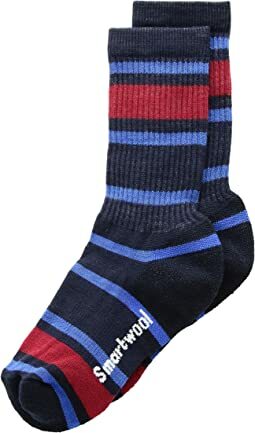 Great quality sock. Purchases for use in hike and my kids didn’t want to take these off! So, if your kid is between sizes then I’d say size up. 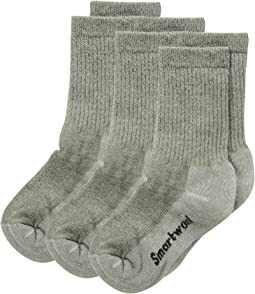 I was surprised as when I bought the adult Smartwool socks, they ran large. Kids ones seem to run a bit small. My kid wears a size 13 and these just fit. 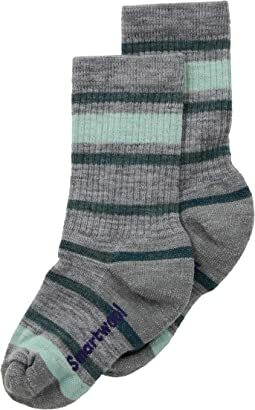 Comfortable and warm and cute! Love these smart wools. 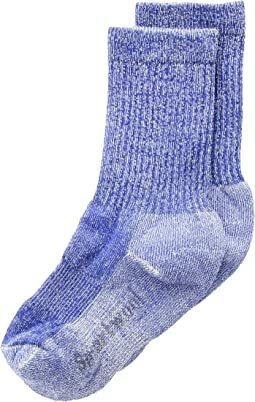 Perfect for everyday wear in the later winter/early spring when it’s still pretty chilly outside.